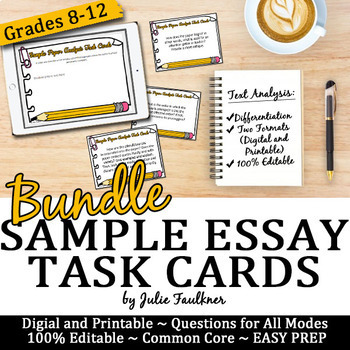 These Analysis Task Cards for Sample papers in printable and Google format are an excellent modern and engaging activity to have students show their understanding of writing, take ownership of their learning, dig deeper, and closely analyze any essay. 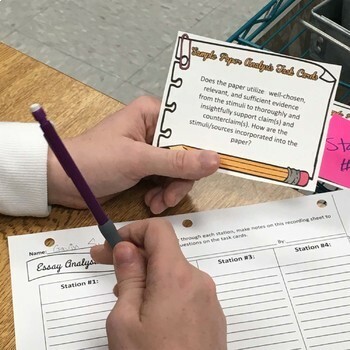 You can use these easy prep cards to have students respond to any student model essay. 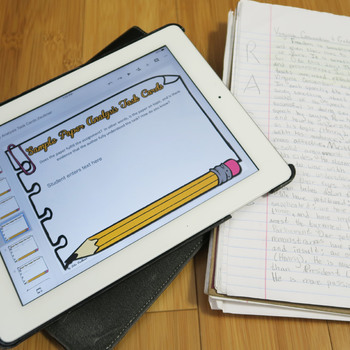 - Questions that correlate directly with not only CCSS anchor writing standards, but also with higher-level thinking analysis skills. 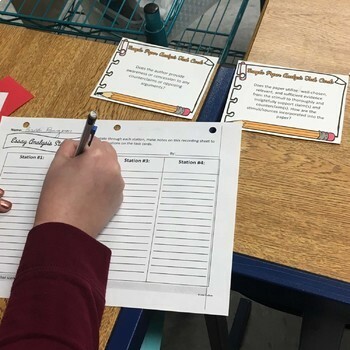 ♥ "Loved using these not only as a nice review, but as a way to expose them to many different speech ideas in a short amount of time. Thanks."